For date night last week, hubby and I finished watching 'The Crown' on Netflix---the story of Young Queen Elizabeth. I have to admit, I rolled my eyes and 'steupsed' (a Trinidadian term for the act of sucking air pass one's teeth, creating a sound of disapproval) often as I watched the over-the-top jewels, costumes, extravagance. and opulence. I just didn't get it. Then last Sunday at church, my pastor gave a sermon on our role as kings and queens. He said that we are royalty and we should act like it. What a light bulb moment for me. He shared that royalty thinks a certain way; they have a distinctive style of dress; they conduct themselves with grace, style, and class; and most importantly, they are motivated by a sense of duty and obligation to a position. I got it! This is how God wants us to operate in His Kingdom. Once I was able to look past a lot of the made-for-TV drama, there was something God was showing me as I watched this series. My disapproval turned into awe, as I imagined having that single-minded commitment to God. I envisioned myself being set-apart, being chosen and predestined for greatness. The thought of an unwavering commitment to my God and King was exciting. And the unquestioned loyalty to the crown was something to be inspired. Duty first, and self second. Imagine what our lives would look like if we made that our daily vow. As you reflect on this, know and believe that this is our inheritance. So what does this have to do with your health and weight? When we can begin to act like who we were created to be, most of the things that keep us burdened and weighed down will no longer be an issue. Here is a brief summary of my pastor's notes, coupled with my insights about why we need to act like the royalty that we are. Your mindset will determine your life. If your mindset is one of lack or failure, then it will manifest in your life. If you line up your thoughts with the mind of Christ, then you will only know victory and success. Queen Elizabeth was born with a royal mindset. Her mind was focused on maintaining the family legacy and dynasty. Her thoughts were not focused on what was best for her, but rather what was best for the crown. What Do You Really Believe About Yourself? When God looks at us, He wants us to see a reflection of Himself. He has told us that we are a chosen people, a royal priesthood, a holy nation, His special possession (1 Peter 2:9). Yet if we're honest with ourselves, we feel anything but chosen, royal, or special. We believe the lies from the enemy; the self-sabotaging thoughts in our head, and the category that society often relegates us to. It's time for us to believe that we are who God says we are and that we can do what God says we can do. Without making it cliche, declare that "you CAN do all things through Christ who gives you strength" (Philippians 4:13). Think of some of the challenges you're experiencing right now in your health or weight loss journey. Confess Philippians 4:13. Think about what the scripture really means and allow God to show you how you will do it in His strength. Then don't stop believing until you see it manifest. No, the journey will not be easy, and yes, you will feel like quitting. 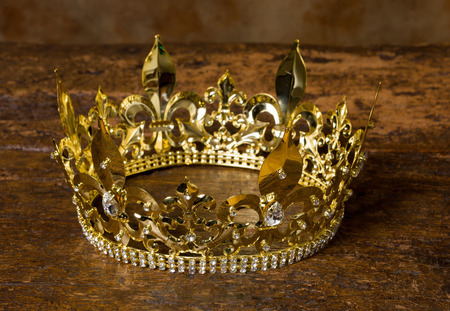 At those times remember that you are royalty---made in the image of your heavenly Father. Therefore, quitting is not an option. My beloved queens, it's time to believe you've been inducted into royalty. It's time to act and think like royalty. With this mindset, you will be successful in all you do. Oh Preach! Sis, you nailed it with this one. I AM ROYALTY. TO GOD BE THE GLORY.